Terroir: Situated 125 miles south of Paris, the Sancerre landscape undulates at an altitude between 650 and 1,300 feet. The Loire River on the Eastern side of the hilly environment creates a relatively temperate microclimate for the wines. Pascal Jolivet Sancerre Rosé is sourced from different terroirs throughout the appellation including estate vineyards in the villages of Bué, Verdigny and St Gemme. Vinification: The Sancerre Rosé is made with 100% Pinot Noir and is a blend of direct press and “saignée” production methods. Pascal Jolivet practices a minimalist winemaking style, allowing nature to take it’s course. It is produced using exclusively native yeasts, and entirely in temperature stainless steel. All parcels are vinified separately until final blending and bottling. The 2017 Sancerre Rosé is a pale salmon pink in color with a subtly nose of fresh berries. On the palate the wine is delicate and elegant with layers of herb, strawberry and a clean, crisp finish. 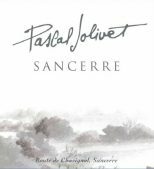 "New to Trader Joe’s, Pascal Jolivet Sancerre ($18) is so clean and pleasing that it tastes delicious with just about everything. The rosé’s crisp apple and lemon notes help cleanse your palate after eating one of Trader Joe’s 12 Tantalizing Truffles ($5), which come in unique flavors like White Chocolate Stroopwaffel. We particularly like the taste of the bright, grapefruit-y wine with the dark chocolate Fudge Brownie truffle." Light but persistent, with a peach pit note adding length while pretty tangerine and white peach details check in. Very fine acidity keeps this pleasantly refreshing. Drink now. Hailing from the upper Loire, this Pinot Noir blend is salmon-colored with a bright, fruity nose. It has a softer mouthfeel and excellent balance of juicy berries and minerality, with a tight, smart finish. Grade: #4 - The 25 Best Rosés of 2018 Ranked!